I don't remember where I first heard about the book series, "The Thousandth Floor" but I know it intrigued me from the start. This is the debut novel from Katharine McGee and I am fascinated by her mind. The series takes place in Manhattan, in the year 2118... however, Manhattan is not the Manhattan we know and love right now. The entire city consists of one skyscraper and nothing else; everything you need is within the thousand floors. 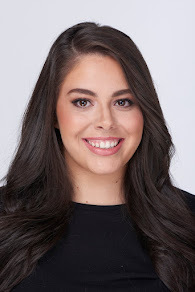 The technology involved in The Tower is something I don't know if my mind could imagine; contact lens computers, being able to virtually try on clothes, and so much more. It took me a while to finish this book and that isn't because it wasn't interesting but I think because it was a little confusing. It took a little time to understand where the story was taking place and to grasp the fact that this is taking place in the future. There are a ton of characters so it takes a little time to understand who is who and focus on each of their stories. Once you understand everything, it's smooth sailing and you are captivated by this fictional, insane world that is set so far from the world we live in now. One of the most important things to note is that there is a great divide between the upper floors and the lower floors; of course, the upper floors are where the wealthier people reside. The novel centers around the cast of characters listed in the book summary and their high school lives, navigating The Tower and figuring out their lives. What comes to follow is a lot of love, fights, scandal, and intense confrontations. There is betrayal, family drama, secrets, and lies... it's all the best parts of a dramatic reality TV show set 100 years in the future. However, the plot wasn't only a futuristic Gossip Girl; there was a murder mystery that kicked everything off. Someone died on the first page and then, of course, you find out who it was in the end. I think I forgot halfway through the book that someone was supposed to die and McGee did a great job at not revealing anything. I couldn't pinpoint who would be dying and it was nice to not know for once (I'm very good at figuring out the ending of books). Once you are hooked on the characters and their lives, you are addicted and the ending of "The Thousandth Floor" just left me wanting more. Thankfully there are two more books in the series so I don't have to say goodbye to The Tower just yet. I think if you like mystery, young adult problems, and a lot of drama mixed with a little bit of futuristic talk, you will definitely like "The Thousandth Floor". You may not like it at first but power through, it gets better and you'll be hooked! 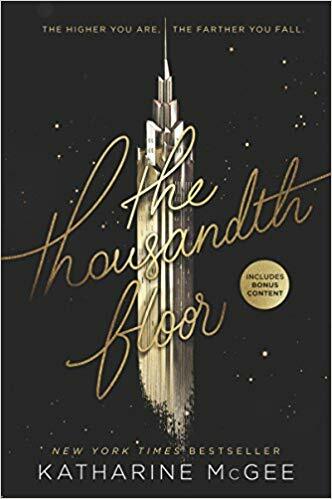 Have you read "The Thousandth Floor"? What did you think?